Eden has done it AGAIN! For the 5th consecutive year he has won a Best Young Player of the Year or Best Player of the Year award is the league he is playing in. 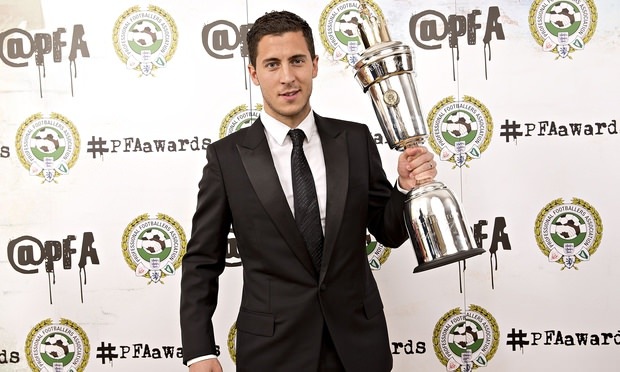 This time, Eden Hazard has been named the Professional Footballers’ Association player of the year for 2014-15, recognizing a season of performances that have helped bring Chelsea to the verge of the Premier League title. 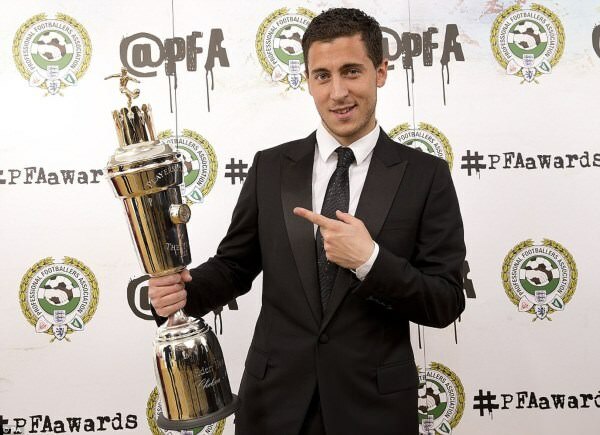 The 24-year-old, who won the young player of the year award last year and has built on that achievement with some impeccable displays this time around, took the prize ahead of second-placed Harry Kane and third-placed David de Gea. A few hours before the ceremony, Hazard had made his 33rd league start in as many games at Arsenal’s Emirates Stadium, where his side secured a draw that took them 10 points clear at the top with five games left. 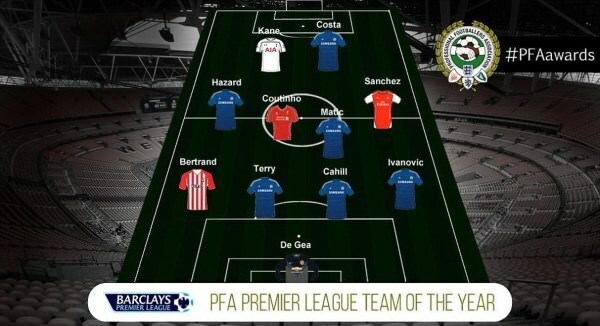 Also yesterday, he was voted in the Team Of the Year by the same PFA. 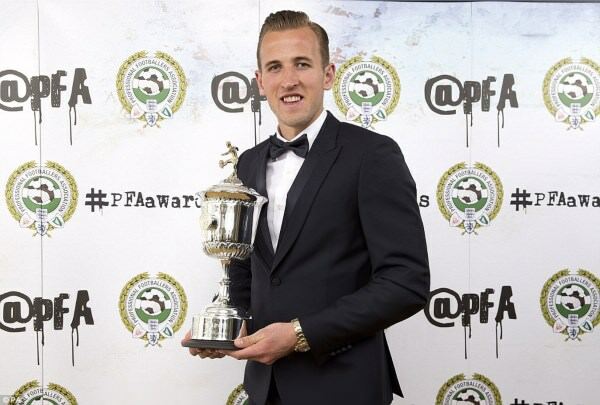 The young player of the year award was won by Kane, ahead of Hazard and Philippe Coutinho.